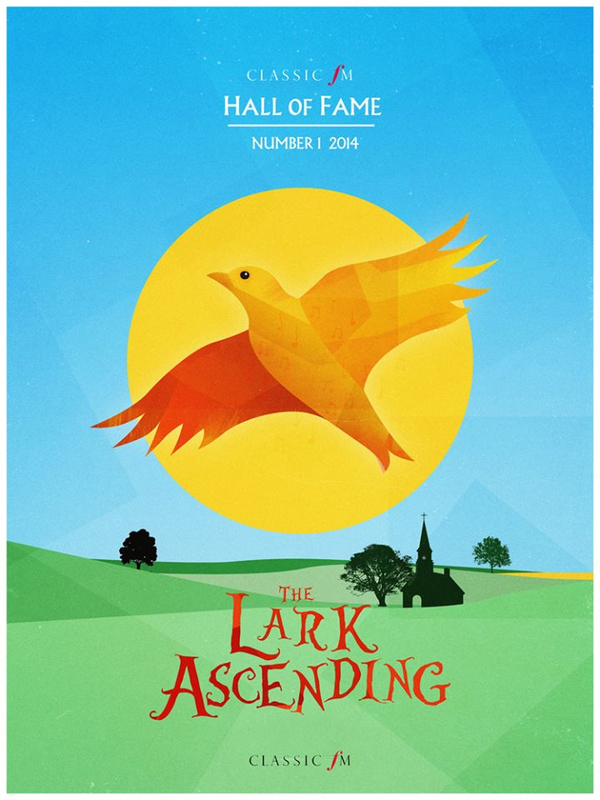 Ralph Vaughan Williams' The Lark Ascending has topped the Classic FM Hall of Fame 2014, so we thought it was time we gave it the film poster treatment. It's been a triumphant Hall of Fame for The Lark after some years away from the top spot, bringing Vaughan Williams' musical depiction of the natural world back to the forefront of the nation's minds. But what would it look like as a film poster? Perhaps it was down to the Coronation Street effect, perhaps this year's mild winter has put everyone in the mood to be outside… it doesn't matter. This beautiful piece is back at the top of the charts, and we're marking the occasion with this wonderful graphic. Click on the image below to see the stunning full-size poster.